Phyllis Zufelt Slade, 90, of Pleasant Grove passed away peacefully Sunday, November 11, 2018. Phyllis was born March 8, 1928 in Red Mesa, Colorado to Arthur and Roxy Wilden Zufelt. She married Chester Slade on October 12, 1944 in Red Mesa. Their marriage was later solemnized in the Church of Jesus Christ of Latter-day Saints Mesa Arizona Temple. 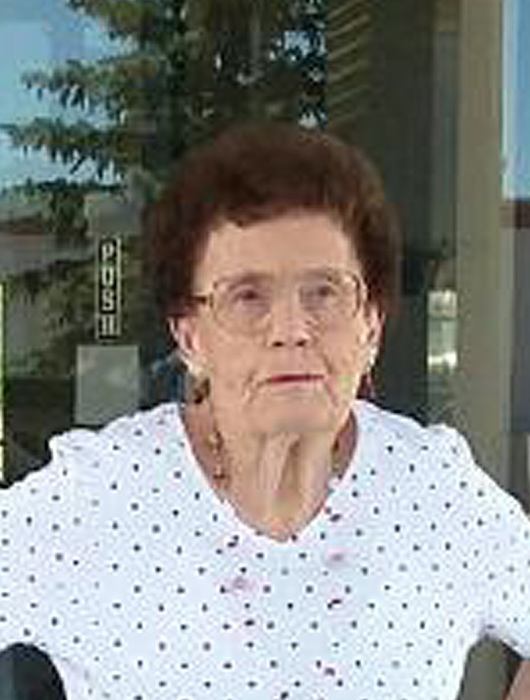 Phyllis grew up in a large family of eleven children in Red Mesa, Colorado. As a young married couple, Phyllis and Chester lived in Colorado and later made their home in Pleasant Grove where they raised their four children. She loved to do crafts and enjoyed evenings dancing with Chester in their younger years. They spent many enjoyable winters in Quartzsite, Arizona where they made many life-long friends. Phyllis was a devoted member of the Church of Jesus Christ of Latter-day Saints and served faithfully in many callings during her life. She will be remembered for her unique teaching abilities and was able to connect with kids. She was proud to receive her Young Women’s Personal Progress Medallion at the age of 87 alongside her granddaughter, Aubree. She is survived by four children: Sharlet (Richard) Laws, Orem; Donna Jeppson, Cedar Hills, Penny (Russell) Evans, Eden, UT; Troy (Shellie) Slade, Alpine; 15 grandchildren, 26 great-grandchildren and a great great grandson. She was preceded in death by her parents; her husband Chester and ten siblings. Funeral services will be held Friday, November 16, 2018 at 11:00 am in the Grove Creek Fourth Ward Chapel, 942 North 500 East, Pleasant Grove where family and friends may attend a viewing from 9:00-10:45 am prior to services. Interment will be in the Pleasant Grove City Cemetery under the direction of Olpin Family Mortuary, Pleasant Grove. Condolences may be sent to the family at www.olpinmortuary.com.